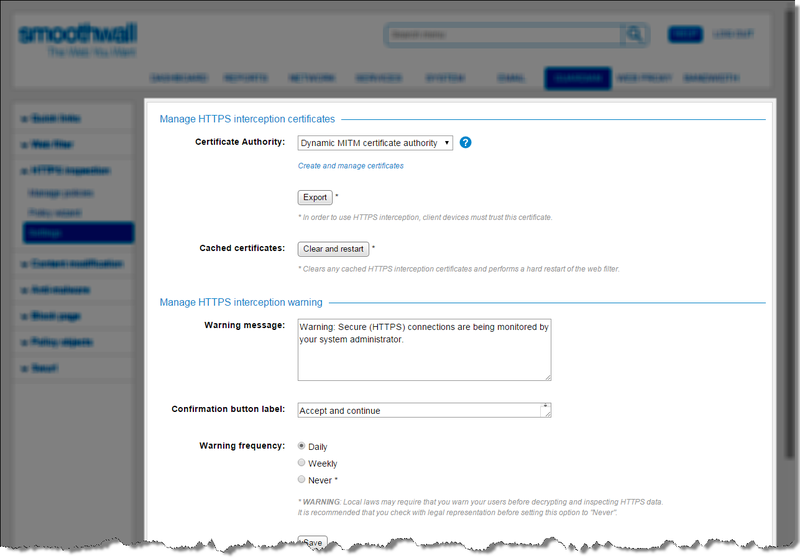 As HTTPS interception certificates cannot be pre-installed or stipulated on Bring Your Own Devices (BYOD), when web requests are made to HTTPS sites, certificate security warnings are displayed to the user. 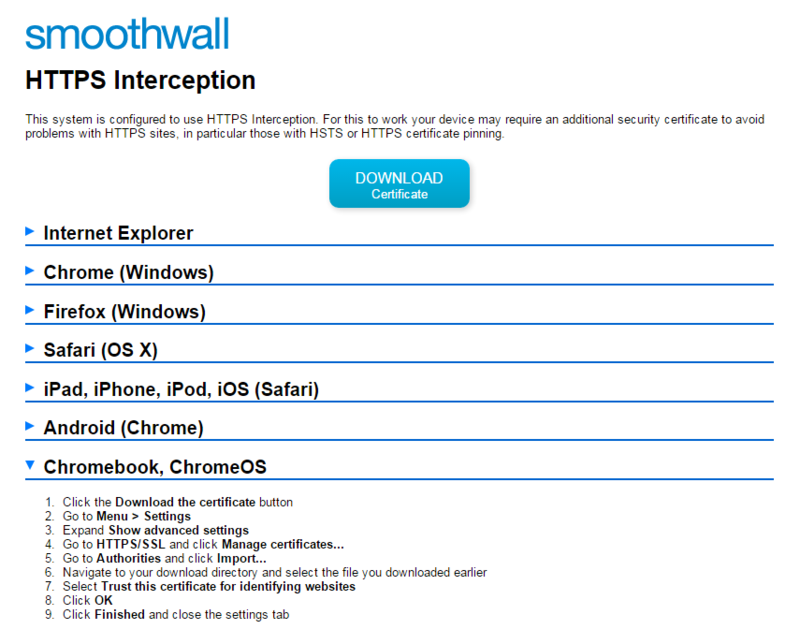 Instructions are included in the HTTPS Interception page advising how to install the certificate depending on the browser used. 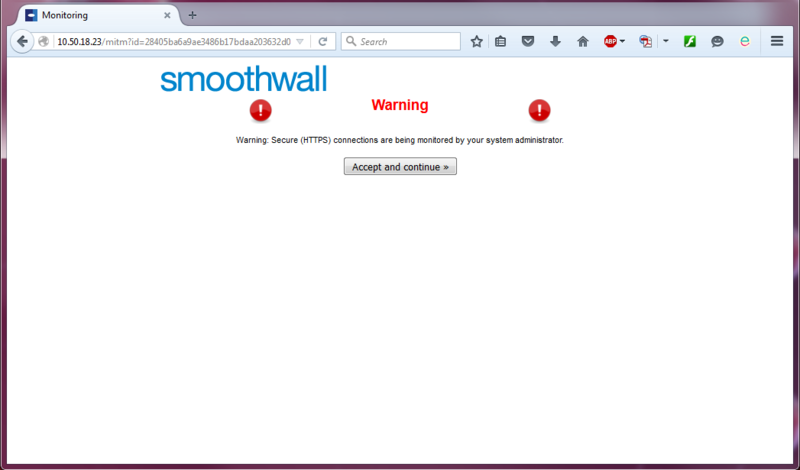 where IPAddress_or_Hostname is the IP address or hostname of the Smoothwall. Select to never display a warning. Typically, you would not use this option, however, if you are using the Smoothwall Connect Filter for Windows client, it is recommended you disable the warning message to ensure correct operations. For more information, see About Smoothwall Connect.